Today I’m sharing the best hair accessories for fall. Along with everything else from the 90s hair accessories are making a major comeback this season. Every store I go to I see new ones in all shapes and sizes. I don’t normally go all in on trends, but I find hair accessories hard to resist! They are so cute and functional, and there are so many affordable options. I recently found a few that are cute but still subtle, and are a great price. I love these Gold Bobby Pins, the Bachca Paris Bobby Pin Set which I found at Anthropologie. They add a little bit of glam to your hair, and they have a very strong grip. Plus, I think the packaging is really cute when you leave it out on your vanity. To use them, I did my typical blow out and then pulled back a small front section of hair which I secured with two bobby pins. Put the flat side up. Round Barrette. 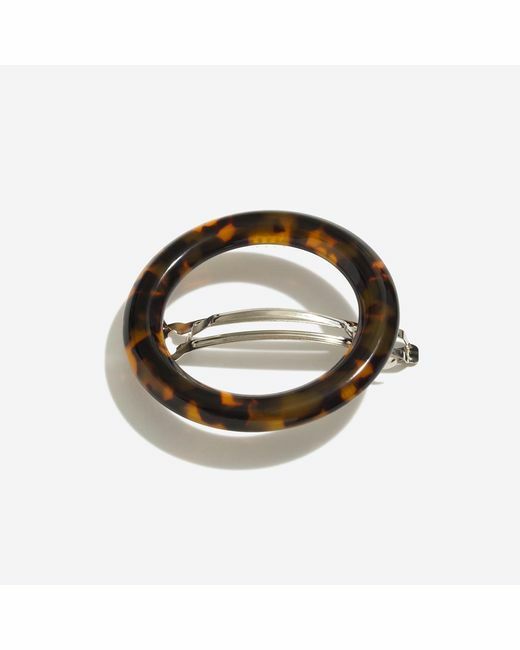 This round barrette is from J.Crew Factory and is $7.50, and these is normally a discount code for an extra percent off. Bow Barrette. Isn’t this a sweet and modern take on a bow clip? It’s also only $7.50 and normally has an extra percent off (I got both the round barrette and the bow barrette for under $10). Velvet Bow. I bought one of these bows last season and wore it all the time. It makes every outfit seem special. Are you excited by the return of hair accessories? Or any other 90s trends?